Every year over 1,500 people come together to celebrate recovery, raise awareness, fight stigma and discrimination. 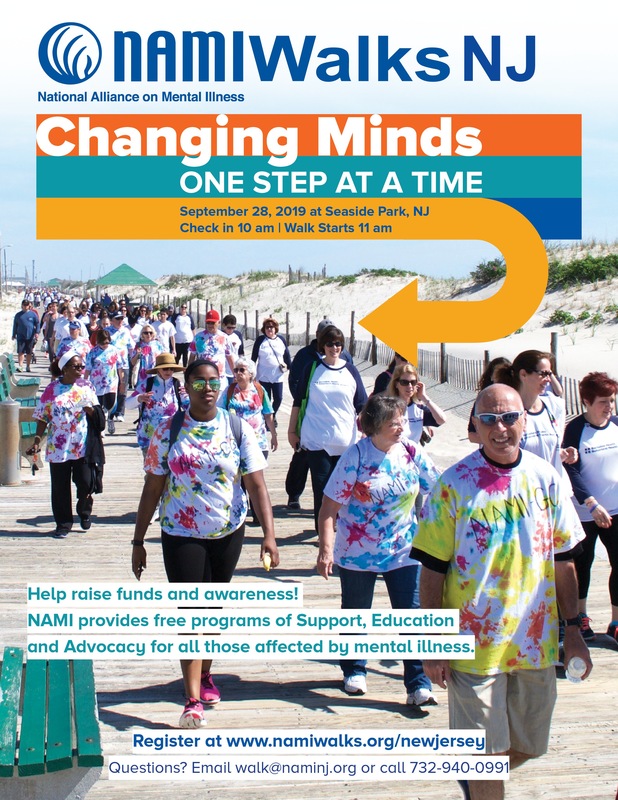 NAMI NJ and its affiliates help serve thousands of Jersian’s impacted by mental illness each year. 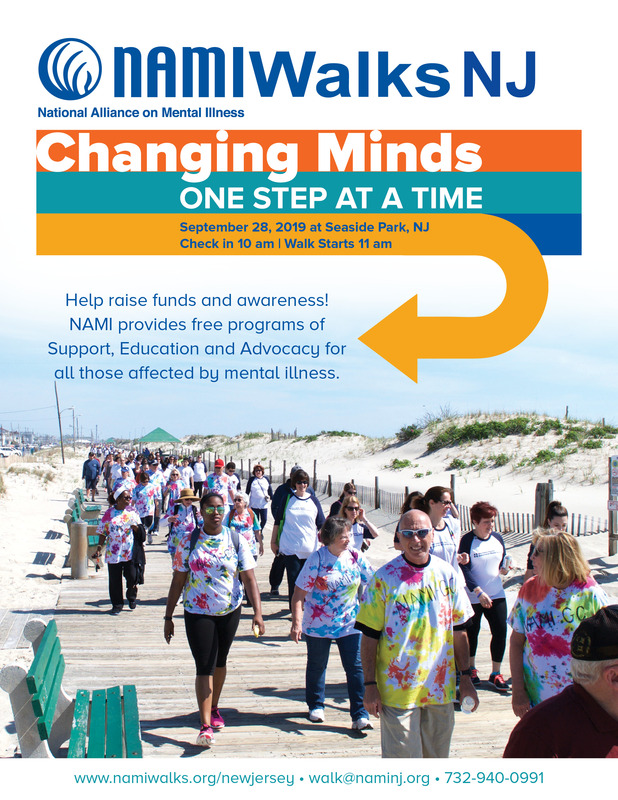 The funds raised at the Walk allow free support, education, and outreach programs to the families & individuals with lived experience of mental illness throughout the state of New Jersey. This year’s 10th annual 5K walk is taking place on Saturday, September 28 and kicks off at the Boardwalk at Seaside Park, Ocean County. The Walk is free – no cost to register or participate. 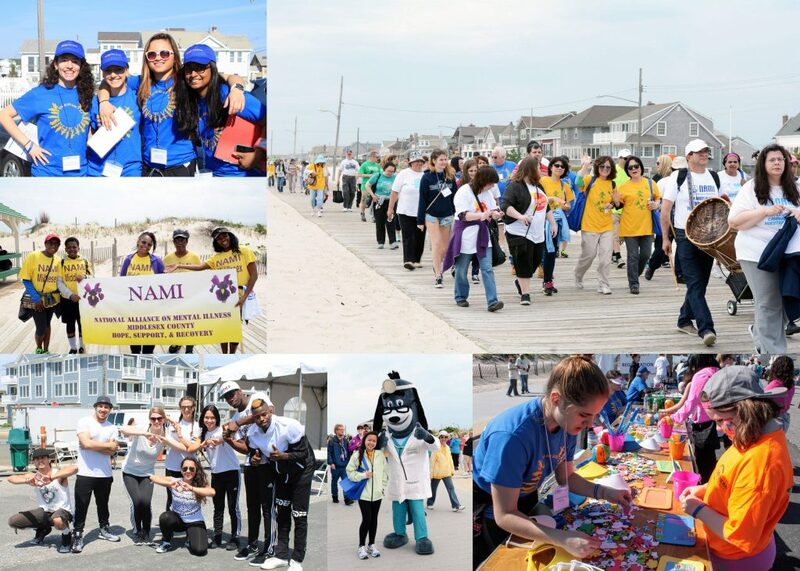 There are multiple ways you can make a difference with NAMIWalks NJ – as a sponsor, committee member, team captain, team member, individual walker, or volunteer! Need help fundraising? It’s all about getting personal! 1. When you ask for a donation, tell why NAMI NJ and mental health are important to you. 3. Post about your NAMIWalks NJ Page on Facebook, Instagram, and Twitter and ask your network to support you with a donation. Always remember to include the link to your fundraising page with each post. NAMIWalks NJ is a fun, family-friendly, wheelchair-friendly event and an excellent way to let your voice be heard! Join the movement and register NOW!